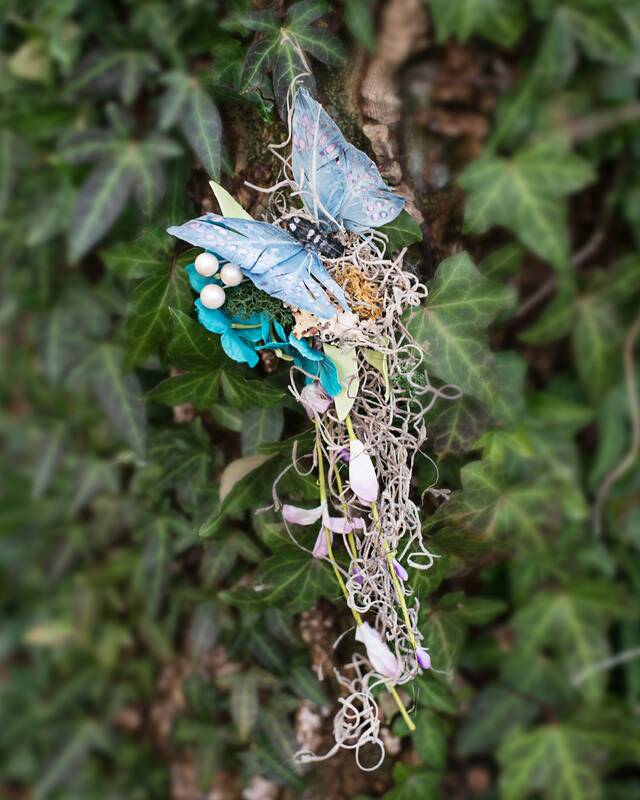 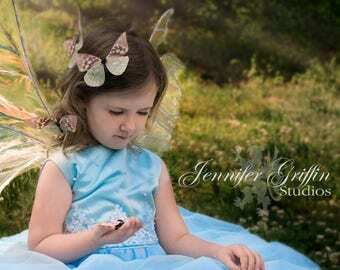 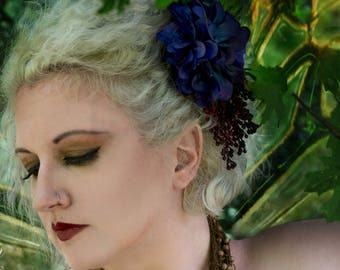 This beautiful little, blue butterfly hair lip with real moss and blue hydrangea flower accents is a stunning addition to your fairytale wedding, or handfasting ceremony. 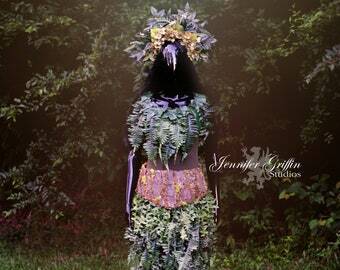 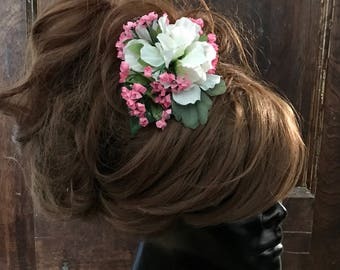 It can also be worn for woodland weddings, a fairy costume, a woodland elf costume, fairy photo shoots, Halloween costumes or clipped onto a flower pot! 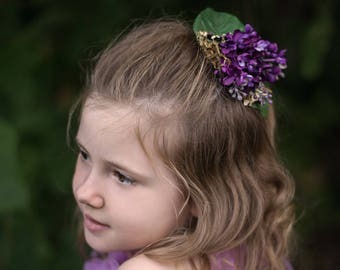 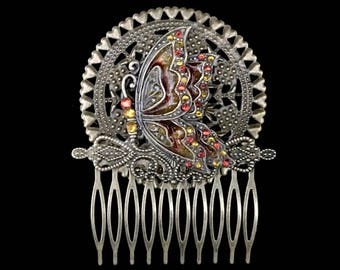 The lovely butterfly clip measures 12" long and 3" wide and is backed with a metal fascinator clip, similar to an alligator clip. 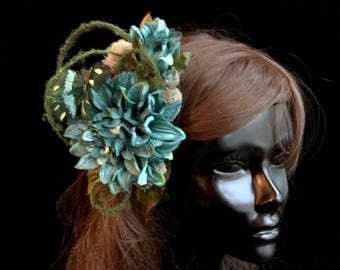 Moss is one of my favorite materials to use. 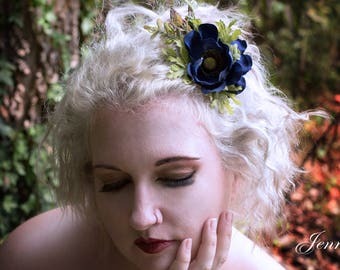 I love all the textures and colors of all of the various mosses out there, and this particular flower clip features 2 speices of moss, Spanish moss and reindeer moss. 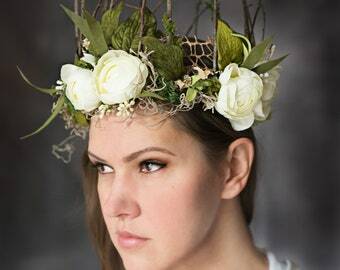 All of the moss I use is real moss that has been professionally preserved and though the special preservation process, retains it's natural texture. 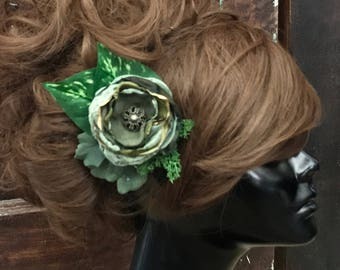 I do recommend storing your moss hair clips in a plastic container or plastic bag out of direct sunlight to maintain the natural color and texture of the preserved mosses. 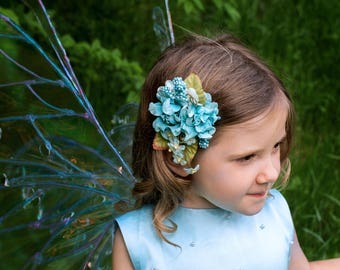 Other items used in this lovely fairy themed headpiece are high quality, blue hydrangeas, white berries with a peral finish and a handpainted feather, blue butterfly.